With Trakdesk, you can easily add solutions for each commonly asked question and store them as Canned Responses which will be readily available to you and other agents to be reuse at any time with a single click. Go to then Admin Page. Select the Canned Response option. 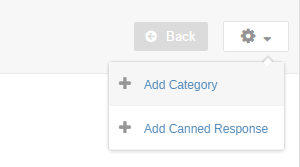 Before you can add a canned response, you must add a Canned Response Category. However, if you have aready done so, you can skip this step. To add a canned response category, click on the drop down menu at the Top Right of the page and select Add Category. Once the popup modal has opened, enter a unique name for the new category and click on the submit button. 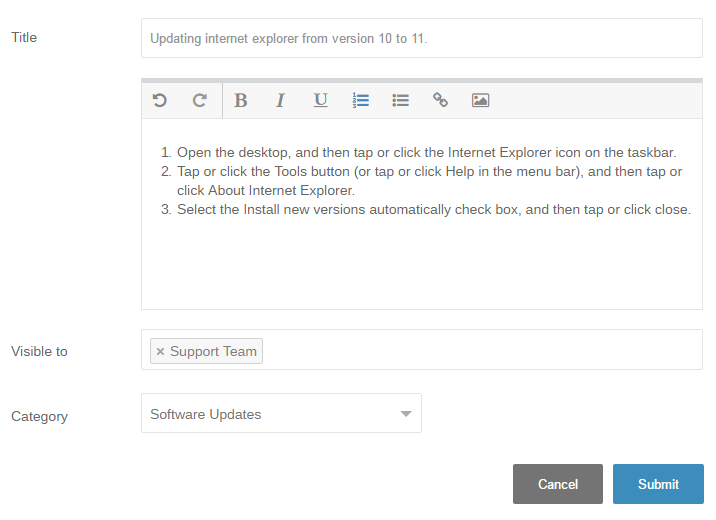 After you have successfully added the canned response category, click on the drop down menu at the Top Right of the page and select Add Canned Response. Now, enter a title and a body for the new canned response. You can also restrict the cananed response to specific groups of agents. Click on the Submit button and that is all. The new canned response is ready to be used by your agents. You can personalize your canned response with placeholders. 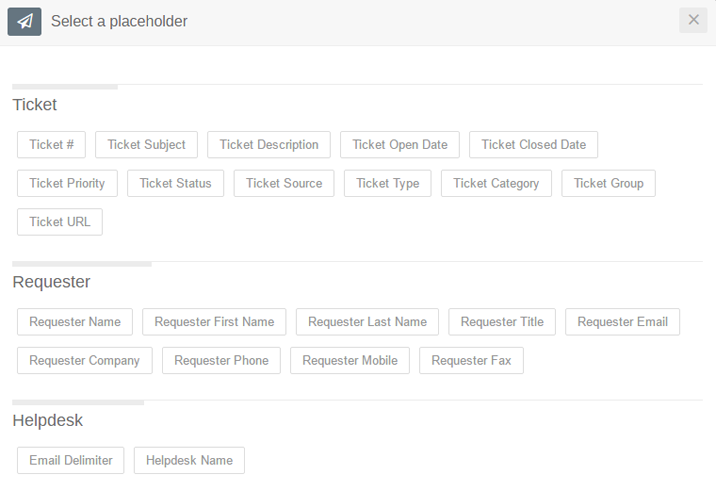 This allows you to easily add dynamic content to each canned response you create so that your agents would not have to manually add the ticket subject, ticket URL, priority or any other ticket details to the email reply. 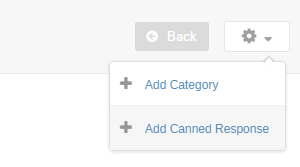 To add placeholders to your canned response, click on the area where you would like the placeholder to be inserted.